Most guests spend approximately 2 hours in the Dining Room. Treat yourself to an unforgettable culinary experience on your trip to beautiful Niagara Falls when you dine at the Skylon Tower Revolving Dining Room. This world famous restaurant is open for lunch and dinner daily, providing its patrons with sensational views of the mighty Falls while they enjoy the restaurant's delicious cuisine. 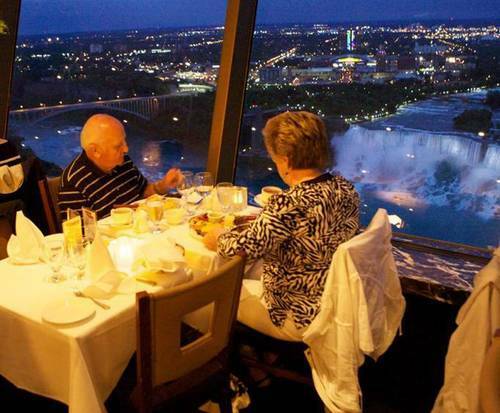 The restaurant sits in a revolving tower 775 feet above the falls. During your meal, you'll discover that the restaurant slowly revolves in a full circle every hour, ensuring there is not a bad view in the house. The unique ambiance of the Skylon Tower Revolving Dining Room is ideally suited for a romantic meal as it is for a special occasion or simply a memorable family dinner. 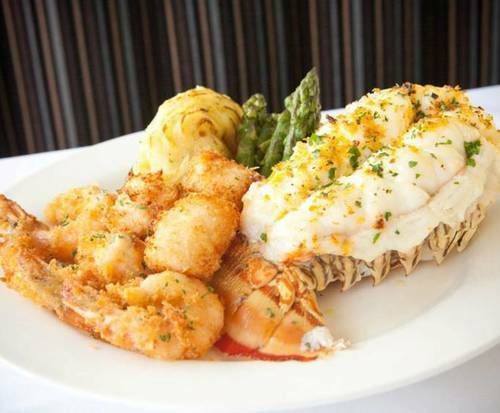 The restaurant boasts an extensive wine list featuring both local and international flavors, as well as a wide variety of menu options. 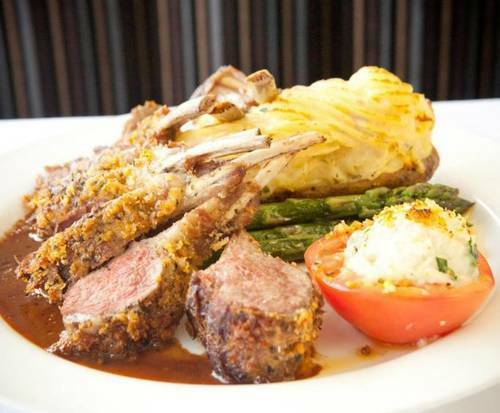 A meal at the Skylon Tower Revolving Dining Room is a must for your trip to Niagara Falls. Roast Prime Rib au Jus with Baked Potato or French Fries. Skylon Spaghetti Romano with Chef's Salad. Chicken Fingers Supreme with French Fries. Chocolate Water Coupe for dessert. Milk, Juice, or Soft Drinks available. Meal was excellent as was the view! The view was beautiful! We were @ the 4:30 sitting. The food not so good! It seemed like we were being rushed(we went around 1 time only)(according to the little plaques one turm takes 1 hour) the food was only luke warm and yet the bill was 108. And yes we got those quirky glasses. We live locally and if it weren't for the view i would of compained. This place is really neat, a great experience if you are in this area. My wife and i were disappointed in the food. When signing up i thought we would get to choose from more than 4 items. The food was just ok. The view is nice. I wouldn't go there again. Tip: Not worth the price.